We are convinced that the success of this development project lies with understanding the current environmental needs as well as strongly collaborating with the Coral Gables community. 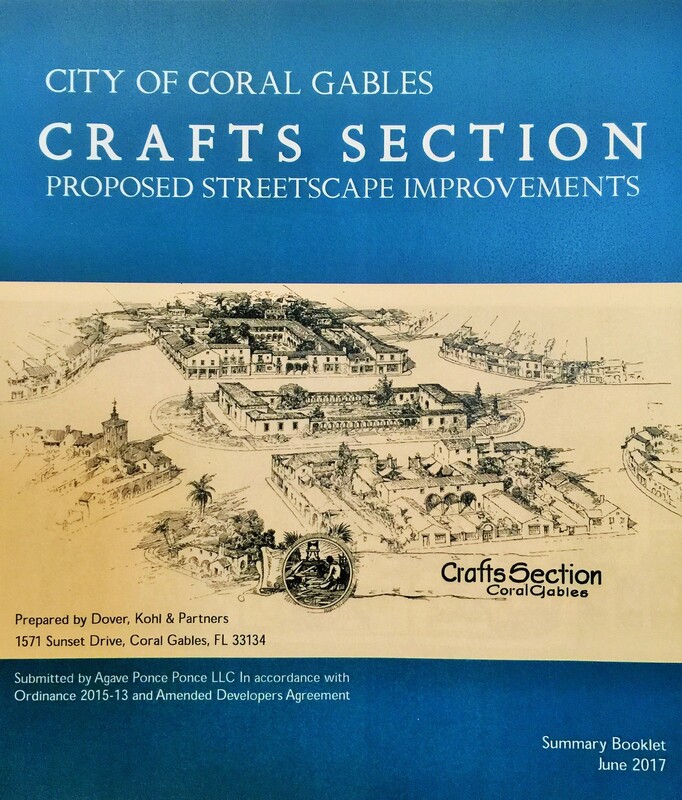 The recently completed “Crafts Section: Proposed Streetscape Improvements” package is the result of several meetings, presentations, work sessions and walk-throughs with Coral Gables City staff, Urban designers “Dover Kohl & Partners” and the neighbors. This document incorporates the allocated budgets for the several street improvements, coordinated with the neighbors’ feedback and comments. The complete package was submitted to the City of Coral Gables on June 16, 2017, and is currently being reviewed by City officials. Once the authorities conclude their review, a final meeting with the neighbors, interested parties and City Officials will be organized and scheduled by the City, where the Program Coordinator/Urban Designer, Dover Kohl & Partners and City Staff will present to the various neighborhoods, their decisions and final remarks and scope of work related to “Neighborhood Streets Offsite Improvements”. The City of Coral Gables will advise on the location and date for these final meetings, and we will continue to post any related updates/new information on this website under “News & Milestones”.